Accommodation in Kirkby Lonsdale , Cumbria . On Tuesday 23rd April 2019 the sun will rise at 05:51 and will set at 20:27. It will be a mild day, with temperatures reaching around 18.2°C. Today is expected to be a dry day, with a very low chance of rain. It will be quite a breezy day, with a maximum expected wind speed of 21mph. On Wednesday 24th April 2019 the sun will rise at 05:49 and will set at 20:29. It will be a mild day, with temperatures reaching around 14.8°C. A few showers are expected, 4mm of rainfall is possible today. It could be quite a gusty day today, with a maximum expected wind speed of 24mph. On Thursday 25th April 2019 the sun will rise at 05:47 and will set at 20:31. It will be a mild day, with temperatures reaching around 13.4°C. Some moderate to heavy rain is expected, 5mm of rainfall is possible today. It will be quite a breezy day, with a maximum expected wind speed of 19mph. On Friday 26th April 2019 the sun will rise at 05:44 and will set at 20:33. It will be a mild day, with temperatures reaching around 13.1°C. Some moderate to heavy rain is expected, 7mm of rainfall is possible today. It will be quite a breezy day, with a maximum expected wind speed of 19mph. On Saturday 27th April 2019 the sun will rise at 05:42 and will set at 20:35. It will be a mild day, with temperatures reaching around 7.6°C. A light shower is possible, 2mm of rainfall is possible today. It could be quite a gusty day today, with a maximum expected wind speed of 33mph. On Sunday 28th April 2019 the sun will rise at 05:40 and will set at 20:37. It will be a mild day, with temperatures reaching around 9.8°C. Today is expected to be a dry day, with a very low chance of rain. It will be quite a breezy day, with a maximum expected wind speed of 28mph. On Monday 29th April 2019 the sun will rise at 05:38 and will set at 20:39. It will be a mild day, with temperatures reaching around 5.2°C. Today is expected to be a dry day, with a very low chance of rain. It will be a very clam day today, with a maximum expected wind speed of 11mph. 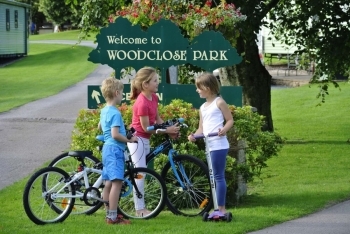 Previous winners of AA North West Holiday Park of the year and Enjoy England Gold and Bronze National Awards. The park is well laid out in an area of outstanding natural beauty, excellent facilities on site including private family bathrooms and undercover cooking area. There are a number of serviced hard-standing pitches for touring, self catering Wigwam ( some en-suite), self catering holiday flat ( sleeps 4 ) and over 60 pitches for private Holiday Homes and Lodges. The outlying fields provide habitats for a rich variety of animals, birds, flora and fauna and the historic town of Kirkby Lonsdale is just a ten minute walk from the entrance. The site is open for Touring, Wigwams and Camping from 1st March - 31st October. There is an extended season for Holiday Home owners until 2nd January.